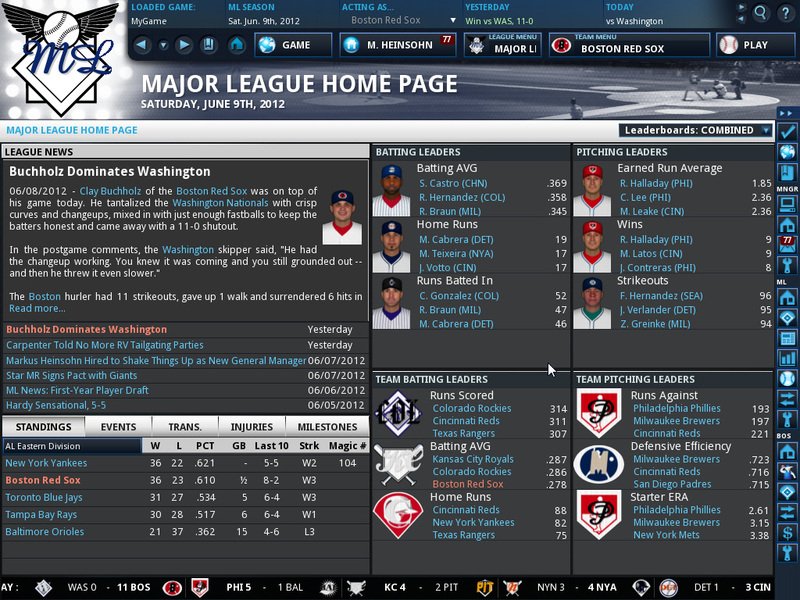 OOTP 13 PC Preview. If you have a passing interest in the game of baseball this series may not be for you. For those baseball fans, those real baseball fans, if you have not discovered this franchise yet, then you are in for a real treat indeed. It’s not just the extremely devoted fans that make this a really good game franchise. It’s the quality of the product. Out Of the Park Baseball 2013 (OOTP), yet another comprehensive drive out into center field and the fans go wild. Fully loaded like the early renditions of the game comes with network play, so you can get together with other fans and friends and get your baseball fantasy league going. Out of the Park Developments a company based in Germany has once again hit a home run with Out of the Park Baseball 2013. The staple baseball simulator ups the stakes with one of the most comprehensive gaming experiences around. Though if you are looking for something with motion graphics that let’s take controls and throw, hit and run bases. Look elsewhere. On the other hand OOTP 2013 provides the most mind bending amount of options for any baseball simulator we have ever seen. 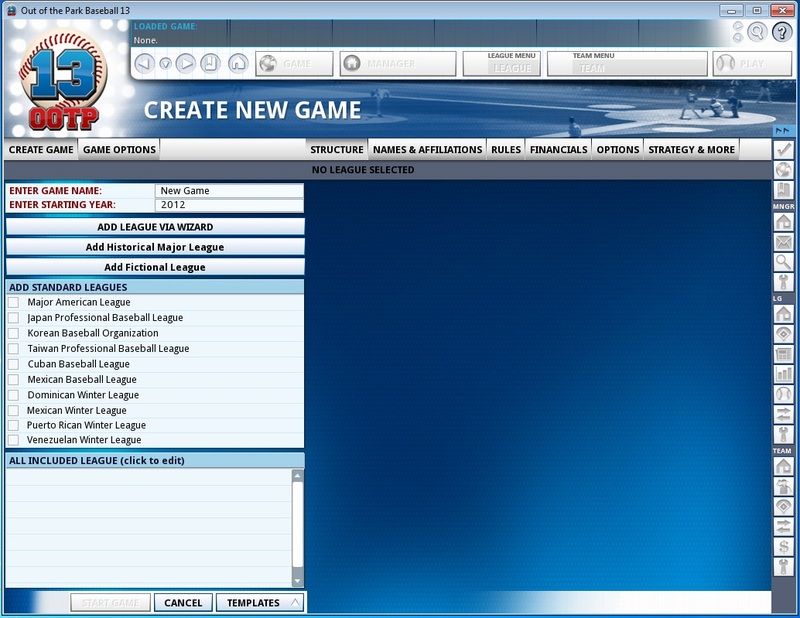 Better yet, players grabbing the latest incarnation of the game can even import their OOTP 12 league over to the new OOTP 13. So that league you created and sweated through those hundreds of games and seasons can play on! Players can take on the role of a manager, or general manager or even both at the same time. With massive amounts of customizability at hand and more stats and information and history of baseball than any fan can ever want this game has it all. Not having a head for baseball, let alone the multitude of stats in a game like this, I was happy to see that the developers worked in a very user friendly interface and a multitude of help and guidance for the game. Anytime during game play pressing the F1 key brings up detailed information on the game page you’re on. An excellent well thought out tool and user interface make the game open to beginners learning their way around the game. Which is a good thing because each menu option brings up sub menu options making this a baseball’s fan ultimate game. As it is, there are some controls that anyone at home with internet browsing will be at ease at right away. A home button, and a page back and forward button make checking out the different pages of the game a snap. The franchise is already fully loaded with features; the latest outing already has some patch tweaks to the game. 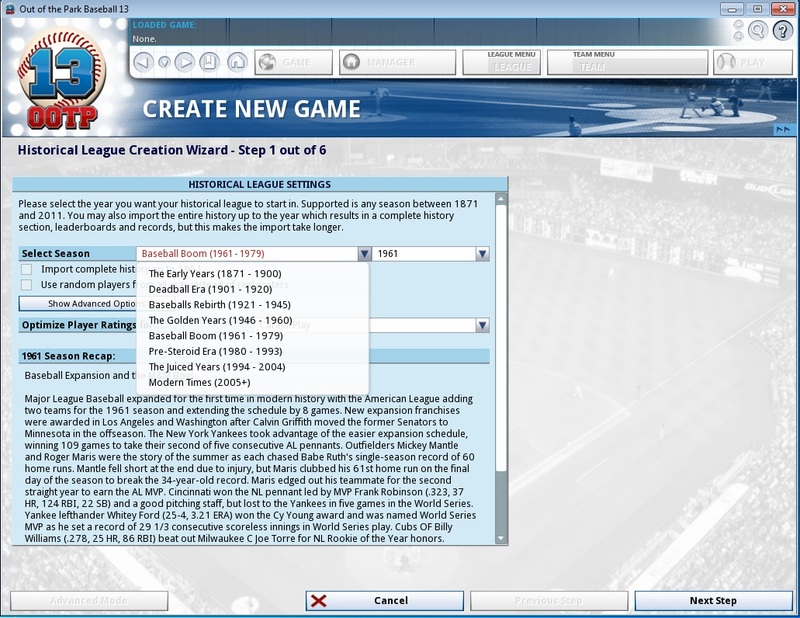 OOTP 2013 also has newer features that bring even more control to this control intensive game. One of the new features that stand out for me is the Real Time Simulation mode, this allows players to check out all the league transactions and news bits while the whole day simulates in the back ground. It also allows the player to take control at any given time and handle the baseball game going on so they can give it that personal touch if they feel the team could be doing better. While the improvements are numerous it all streamlines the interface and players experience rather well. One of the things I found rather amusing is the Interactive Storyline mode. Storylines had been introduced by OOTP 12, and they are punched up with new depth for OOTP13. You may find yourself having to handle a player that is bad mouthing to the press about other players or management. What do you do? Whatever choices you make can make things better or worse. Placate, or trade them or give them their walking papers. Anything decided has an influence on the storyline and wider ripple effects as well. It can affect fan interest, the team morale, player ratings and more. Now for those that do not want to have to deal with the drama, Storylines are optional and this option can be turned off or on in the game. It’s a game of stats; it’s a game of numbers, and lots of information. It also gives history and quotes from players and baseball personalities throughout the history of the game. If you have a passing interest in the game of baseball this series may not be for you. For those baseball fans, those real baseball fans, if you have not discovered this franchise yet, then you are in for a real treat indeed.